Paintless dent repair in Indian Trail NC is a fantastic way to reduce your costs on bodywork while still getting excellent results. Piedmont Dent Repair specializes in this form of repair service. Our staff members offer affordable services in mobile dent repair. We will come out to your location to provide a quote and immediate mobile dent removal. With our paintless dent removal in Indian Trail North Carolina, we ensure that you get reasonable costs on dent removal that won’t tie up your vehicle. Most people avoid traditional bodywork because it often involves their car going into a repair shop for several hours or even several days. With paintless dent repair, the entire fix could happen in your driveway just a few minutes after you receive a quote for the services. Because the services can be completed so quickly, you could have a professional on site for hail dent removal and fixing up a number of small finish issues before they become a serious detriment to the look of your vehicle. These items can be fixed up quickly and without any need for intervention from insurance. A paintless dent repair is a very affordable solution that will preserve the look and integrity of your vehicle. While not every dent will be available for repair using this method, if the majority of the finish still exists around the dent area, this is the preferred method for mobile dent repair near me in Indian Trail NC. We stand behind our work as dent repair specialists. When you search for mobile dent repair near me in Indian Trail NC and seek out our company, it’s important to remember that the services we offer are completely guaranteed. 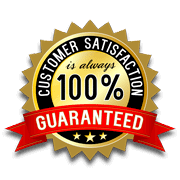 We stand behind the work that we do and guarantee your satisfaction. If you are unsatisfied and would like us to reattempt our mobile dent removal, we can do so free of charge. Contact the staff at Piedmont Dent Repair today to learn more about our Indian Trail, NC paintless dent repair service.